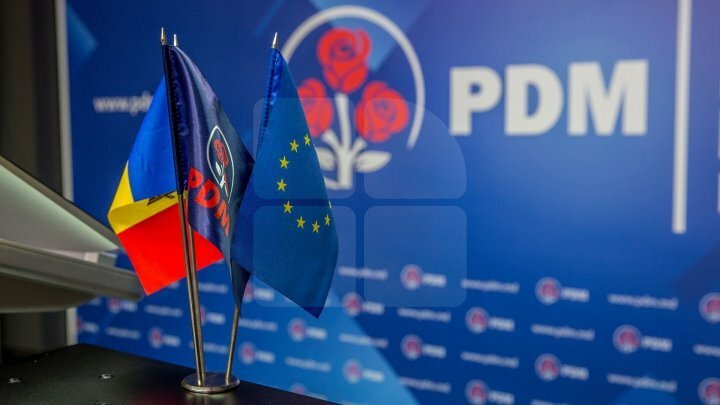 The Democratic Party of Moldova decided to send the party's analysis of the two reports issued so far by the Democratic Party of Moldova, the OSCE observers, and the Promo-Lex direct donors (USAID, the Soros Foundation, the Council of Europe and the British Embassy at Chisinau) Promo-Lex on the monitoring of the 2019 Parliamentary elections. We consider that these two Promo-Lex reports (November 2018 and January 2019) contain a lot of not true, not verified and truncated information, which leads to the conclusion that Promo-Lex's election monitoring activity is not at all objective. Analyzing the Promo-Lex reports, we found that there is no clear methodology according to which the election monitoring mission is carried out. There are unreasonable conclusions in these reports, based solely on the views of the authors of the reports, as well as a set of conclusions that go beyond the monitoring mission. That several Members of Parliament have been corrupted or intimidated. There is no evidence to support this claim, and the statement itself is contrary to the spirit of the Constitution, which results in the freedom of vote for any deputy. That the mixed electoral system is not good, and many Venice Commission recommendations have not been implemented in electoral law. The opinion of the new electoral system is a strictly subjective one, linked to the political participation of Promo-Lex, and the absolute majority of the Venice Commission's technical and legal recommendations have been incorporated into legislation. That the restriction of electoral agitation on election day has been ruled out. Promo-Lex has just made such a recommendation in the past, so changing the position of this organization is incomprehensible. That there are suspicions that ANI does not release certificates of integrity. Promo-Lex has not attempted to communicate institutionally with ANI on this subject, and so far things gone smoothly, with over 700 certificates already released. That an advisory referendum should not take place on the day of parliamentary elections. This position is strictly political, similar to the position of some political parties, and does not take into account the fact that the law allows without any problems the simultaneous holding of elections and a referendum. That DPM would use administrative resources because Parliament and Government are taking social measures. This is a ridiculous statement, Promo-Lex actually challenging the right and obligation of public institutions to pursue their activities by pursuing the interests of the citizens of the country. That DPM would have used foreigners in electoral aggression. This is totally untrue. However, if a foreign dignitary, without being urged or prayed by DPM, conveyed congratulations and success to the party in the campaign, it is definitely not possible to blame DPM for this. Promo-Lex, however, uses double standards in such cases, silencing the fact that in 2018 an opposition electoral contestant has clearly suggested that he is backed by a mayor in the elections. That the parties do not show the actual electoral expenses. The methodology is not clear and there is no clear evidence that Promo-Lex supports this, but the DPM is the first party to declare all spending, including those for collecting signatures from citizens. We mention that we also sent a letter to Promo-Lex, highlighting the false information in the two reports and asking for their correction in the spirit of objectivity that this organization claims to have. We reaffirm that the DPM is in favor of any election monitoring mission, but considers it essential to respect the standards of professionalism and objectivity. DPM will continue to combat any false and manipulative information issued by Promo-Lex or other organizations in the election monitoring process. We want the monitoring of the electoral process to be carried out objectively and impartially, and Moldovan citizens and Moldovan foreign partners should be properly informed about the preparation for the Parliamentary elections of 24 February 2019.